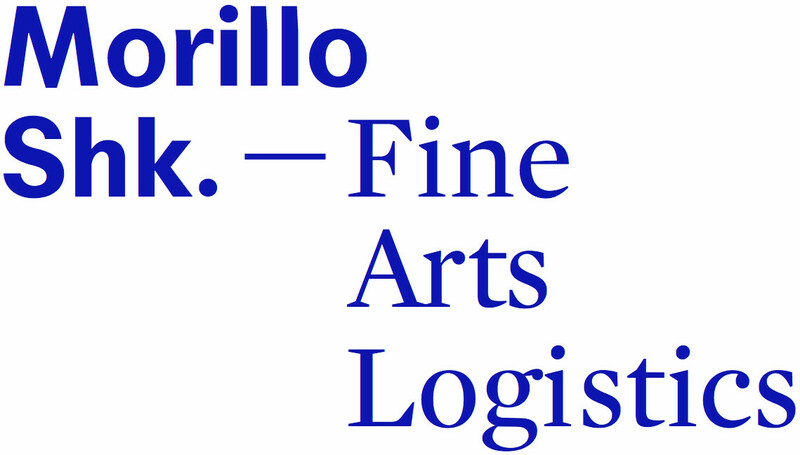 Morillo Shk Fine Arts Logistics is a Mexico-based organization that offers comprehensive logistics solutions to museums, galleries, collectors, independent arts spaces and auction houses, among other valued clients. We provide land-, air- and sea-transportation services for artworks and antiquities as well as pre- and post-transport services such as wrapping/crating and mounting. Our logistics services are all-encompassing and international, including port-to- port transportation, insurance, customs-processing and storage. Morillo Shk is a subsidiary of Grupo Brax, a network of transportation and customs-related logistics companies with more than twenty years’ experience. At Morillo Shk we pack, ship, mount and install every artwork with the utmost care and professionalism. Morillo Shk leverages every tool and technology, alongside expert teams, to offer comprehensive artworks-handling services with maximum security. Artworks are packed with the highest-quality materials. Wood for crating complies with all international phytosanitary standards as established for the UNFAO. We handle fragile, large-format and overweight artworks. Expert team members issue condition reports on every piece accepted for packing. Morillo Shk provides land, sea and air transportation for artworks and antiquities. Our fleet includes a variety of trucks and vans supporting payloads from 500 kg to 3.5 metric tons, in addition to large-volume platforms. All vehicles are late-model units featuring air- suspension, rear ramps and temperature controls. They are additionally equipped with GPS for 24/7 monitoring, visibility and security, from our Laredo, Texas operations center to X-dock or final destination. Two drivers operate all units. Morillo Shk holds proprietary customs-broker licenses in Mexico and the United States, in addition to at Mexico City’s International Airport; at land ports-of- entry (Laredo, Nuevo Laredo and in Colombia); and at maritime ports-of- entry at Veracruz, Manzanillo and Altamira; all of which allow us to streamline the timing and costs of customs-related protocols. Our associated-agents structure allows us to complete the full range of customs-related protocols at ports-of- entry and/or customs houses in Lázaro Cárdenas, Nogales, Tijuana and the Toluca airport. We offer specific-insurances underwriting to meet each shipment’s requirements. Our teams offer proven, at-airport handling experience for complete, door-to-door oversight of every shipment. The Morillo team is fully qualified to provide mounting services for artworks and antiquities in galleries, museums, residences and at art fairs both in Mexico and the United States. We support a proprietary mechanical team as well as qualified personnel for the transportation and installation of monumental sculpture or other hard-to-manage artworks. The Grupo Brax story starts back in 1968, when Mexico’s Ministry of the Treasury and Public Credit granted Customs-Broker license #416 to Mariano Gamboa Martínez at Nuevo Laredo, Mexico. Forty years later, the agency partners with multiple customs authorities and is licensed to operate at numerous maritime ports as well as ports-of-entry along Mexico’s northern border. Grupo Brax was created in 2012 to unite various transport businesses supporting specialized fleets as well as customs-related logistics via licensed brokerages in numerous ports-of-entry in the United States and the north of Mexico, maritime ports on the Gulf of Mexico and Mexico’s Pacific, and at Mexico City’s international airport. 2016 saw Grupo Brax create Morillo-Shk Fine Arts Logistics, a Mexican company with headquarters in the nation’s capital, that offers comprehensive logistics solutions to museums, art galleries, collectors and auction houses. Thanks to its wide-ranging yet specialized infrastructure, Morillo is now a recognized expert in high-quality service, expediting protocols and optimizing costs. Morillo allows Grupo Brax to expand its portfolio of services as it provides comprehensive solutions and complete satisfaction to a long roster of high-profile clients. The images that appear on the present site were created by photographer Pía Riverola. They form part of the annual commissions project in which Morillo-Shk partners with Mexico-resident photographers through a commitment to use corporate media as a way to create awareness about our creators’ visual work. The Morillo-Shk Fine Arts Logistics, S.A. de C.V. graphic identity and website were designed by Estudio Herrera (Mexico City); programming by Dupla (Mexico City).